Prefabricated or factory built fireplaces are metal chimney systems that provide a cheaper alternative to a standard masonry chimney. There are many of these in CT, especially in condominiums, townhouses, and other mass constructed residence areas. They are often surround chased with wood or siding. What is a refractory panel? 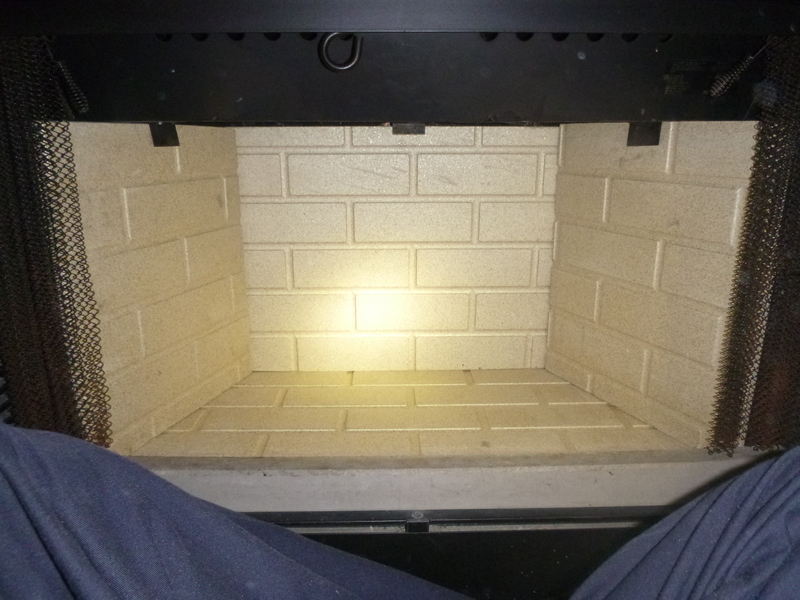 The metal firebox is lined with refractory panels that look like masonry. These panels are manufactured with high thermal properties , generally are 1/2 in to 3/4 in thick. There are four panels for the back, bottom and sides. Their purpose is to withstand the high heat of a fire , protecting the surrounding metal firebox. Without this protection , heat can transfer to the metal enclosure and cause it to warp , weaken or worse- transfer heat to the surrounding combustibles which is obviously a fire hazard. You don’t need a flame to create a fire, you just need an ignition point hit. Years of heat transferring to the surround wood consistently lowers that ignition point , increasing the likelihood of a house fire. 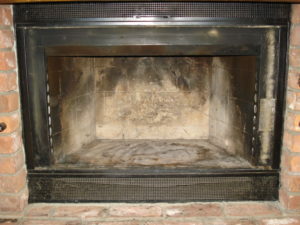 Fireplace refractory panels are a common repair. They are not meant to last forever. Years of heat and usage cause wear and tear, stress and heat cracks, abrasion and pitting, all of which can compromise the effectiveness of this safety barrier. They are made to be relatively easily removable and replaceable. Each manufacturer sells prefab panels for this eventuality. There are also aftermarket panels that can be cut to fit, if the make and model cannot be determined or if the fireplace is no longer made. Ideally they should be replaced before they fail completely. If the firebox becomes warped , the entire unit may need to be replaced. Prefabricated fireplaces sometimes have only a 1/2 -1 inch clearance between the fireplace and surrounding structure. Warped metal is not only compromised but may decrease those clearnaces further. Safeside Chimney can send a CSIA Certfied Chimney Sweep to inspect the fireplace and panels during your annual routine chimney cleaning. Most cases the damage is pretty obvious and apparent. The Chimney Safety institute’s general suggested rule of thumb is to have them replaced when the surface has deteriorated a 1/4in or more , or when cracks in the panel have reached the thickness of a nickel. Spider cracks from can occur from physical stress and aren’t typically an immediate safety issue. But heat stress cracks the panels from the outside in , meaning it is cracked all the way through. Safeside Chimney can determine the condition of the fireplace. We do the work of tracking down the manufacturers replacement panels and parts , or make the decision to order and custom cut after market products and install them , as approprate.